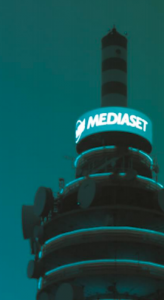 Mediaset has tapped FreeWheel and Comcast Technology Solutions to provide the technology platform for its new live and on-demand streaming service Mediaset Play. Comcast-owned FreeWheel said that the pair’s technology would help unify Mediaset’s video distribution and advertising stack and is part of the broadcaster’s overarching advertising-supported VOD strategy. Mediaset Play’s coverage of this year’s FIFA World Cup helped Mediaset amass 35 online and mobile views fo its coverage, with additional distribution via HbbTV-enabled smart TVs. Tapping Comcast Technology Solutions’ online video management platform and FreeWheel’s ad management platform, Mediaset Play aims to secure distribution via iOS, Android and smart TV apps and to provide advanced advertising products offered by Mediaset sales unit Publitalia. Mediaset relaunched Mediaset Play as a multiscreen streaming service combining live channels with catch-up and on-demand content in May, including access to linear transmissions of channels Canale 5, Rete 4, Italia 2, Focus and TGCom24 and startover TV, alongside access to an expanded range of catch-up and on-demand content. Mediaset said at the time that it planned to add targeted and personalised advertising to the service.